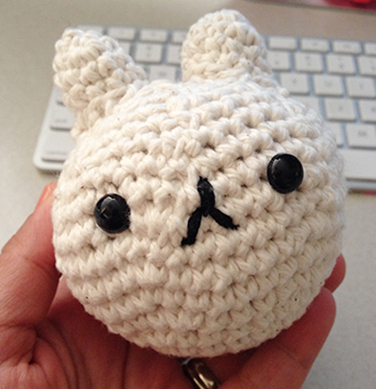 I’m proud to present my first amigurumi project that does not look like a lumpy and misshapen egg. Ta daaa! 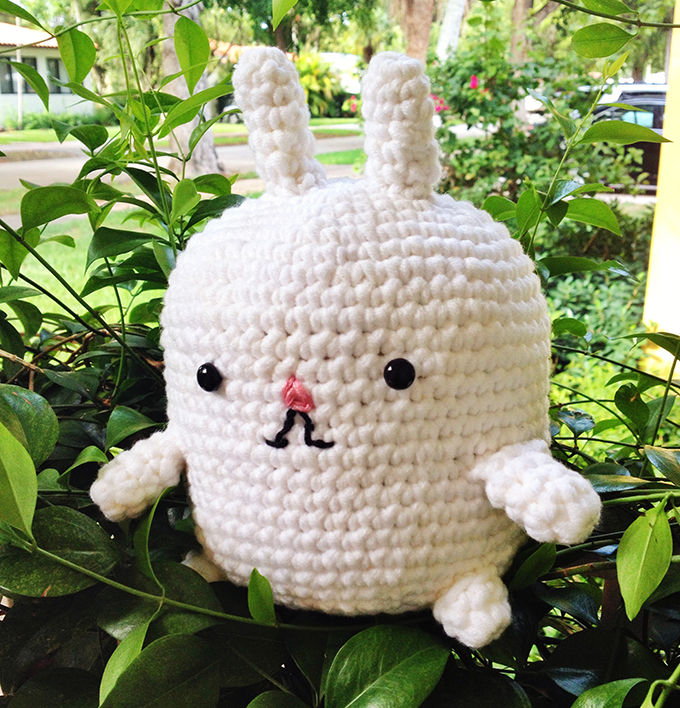 I created Molang by following the free pattern by AmiguruMei.com. She has great, free amigurumi patterns. I highly recommend you check out her other adorable creatures. My little guy seems to have come out much bigger than hers so I did a little research. I found some great tips here: AllAboutAmi.com. Apparently, my yarn was too thick and my hook size too big. I used the recommended hook that was illustrated on the yarn packaging but amigurumi experts recommend you use 2-3 times smaller hook than what the yarn label says. If you’re local to Coral Gables, like me :), and would like to learn to crochet you should check out the Knitting Garden. It’s a wonderful and charming local shop and they are very helpful with newbies like me. They have knitting and crochet workshops that look great. I will most definitely be attending one soon myself.